We've been working with our friend and collaborator Alex Saint on a series of 'insights' for the North West Federation of Museums and Galleries - the NW Fed to its friends. The idea behind the pieces we've pulled together is to stimulate some radical thinking and give hundreds of institutions across the region the tools, ideas and approaches that will help them thrive in these challenging times. There's also an emerging LinkedIn discussion which is worth checking out. The successful museum in 2030 will be a place that unites; that engages; that takes the continued wonder of the original object and fuses it with shared stories and distributed histories. The transformation will have been powered by new partnerships, business innovation and a keen, clear eye on the shifting shape of society. 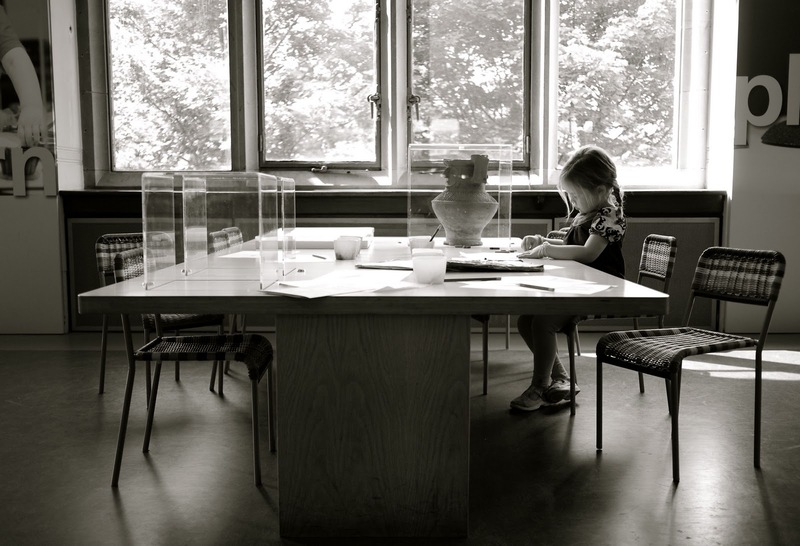 At the same time some of the museums we know and love today will be distant memories, their collections dispersed and their buildings transformed into centres of new activity: work/live units for micro-creatives; crash pads for funky seniors; urban food hubs; or incubation facilities for nanotech start-ups. The notion that ‘not all will survive’ is as liberating as it is threatening. Think back just ten years and you will be able to think of organisations or institutions that are no longer a feature on our cultural landscape, or of new ones that have flourished. Change happens, and the shift in the next 20 years will be one where the innovators, the resourceful and the valued have thrived and survived. Those resistant to change will not have fared so well. At the most basic level, there will be a fiscal revolution in the two decades to come. There will be new ways to make culture ‘pay’. Smart cards for travel networks in our urban centres will also be used to extract voluntary (but relatively ubiquitous) entrance fees for arts and cultural venues such as museums; they will also log our preferences and help us, through enhanced social media, to discover new experiences in an age where experience carries a higher value to our citizens than consumer goods. It won’t stop there though. Successful museums will have learnt how to save money and make money, to enable them to continue to deliver unique and invaluable public services. This will have been achieved, not least, through a zero carbon, zero waste revolution. Monetisation of the museum will be key. They will be true social enterprises, that offer paid for services, have a healthy network of volunteers or ‘members’ and have become more adept than ever at exploiting the philanthropy of those with ‘significant net personal worth’. They will be commissioned for services from a network of public and private ‘client’ groups; and they will be past masters at leveraging the value of their brand. The bricks and mortar of museums will have changed in 2030, but our architectural landscape will not have shifted so dramatically; it always worth remembering that 80% of today’s buildings will – barring cataclysms - be still standing in fifty years’ time; what’s in those buildings is another matter. There will, in 2030, be more of a barter and exchange going on in terms of collections – think of the PlusTate programme, which through a sharing of resources currently supports the development of the visual arts right across Britain, but taken to a whole new level. These exchanges will have a ‘showbiz’ value for visitors and will be as much about the shared brand equity of the big name museums, with ‘on show now from the V&A’ becoming a common line to see on promotional material. This starts to break down the notion of museum as collection and shifts to the notion of museum as experiential brand. Across the next 20 years many would expect digitisation and virtual reality (remember that?) to challenge ever harder the primacy of the physical experience of collections but that will not come to pass; 3D printing will not create a ‘museum of museums’ in every town. What will happen is that collections are rationalised and in many cases thinned out; some may be given away to the community in return for social memories or histories that bring life to the ubiquitous mangle, butter churn or ZX81. These stories will be captured, shared and in this way museums will not simply continue to be features of current and future social media networks (...‘Let’s have a Facebook page’ will no longer be the limit of their ‘Web 2.0 strategy’) but will actually become a new social media network, themselves, making connections, gathering their cultural tribe and offering a powerful mechanism for self expression. As a renewed and vibrant network, museums will increasing be genuine centres of democratic dialogue, interrogating the issues of the moment. From conflict resolution, to reproductive rights or the fight against climate change, the interpretation of collections will increasingly encounter and embrace the zeitgeist and be far more relevant as a result. Part of this new buzz around museums will be established on a notion of ‘trust’. More than anywhere else they will be places and spaces in the future that people want to connect with because they are trusted and known as passionate, informed, but fair communicators of histories and ideas that matter; they are also the zone within which we increasingly choose to contemplate, relax, or make the bigger decisions in life. In 2030 we will be even more harried than today by bleeping texts, ringtones and the tsunami of email. Richard Wurman called it ‘Information Anxiety’ and he was on the mark. Museums will offer us, in the future, a respite from the everyday; they will be the space we need. And they will be well established by then in this new mode of operation. What the next twenty years will provide is the added perspective, post ‘age of anxiety’, that reveals the powerful effect of major investments around the turn of the millennium. There will be no such dramatic investments in our run through to 2030, in fact the next twenty years will be all about making those historical investments work, and work hard. This work will be undertaken together. There will still be a North West Federation of Museums, indeed there will still be a North West of England, in twenty years time. What feels in 2010 like a complete reshaping of our political and cultural landscape post-recession will seem less pronounced in 2030, although museums as a sector will have helped many people, not least through their strong sense of social purpose, to ‘get through the worst of it’. Museums will be a sector in 2030. There will be a collective. From new business models to artefact exchanges or the creation of a new ‘social media’ of museums, all the key trends for the sector will rely heavily on the sector working collaboratively and in partnership. Core museums will learn from nationals, and vice versa; local museums will boast a new charitable trust status, independent from their local authorities, benefitting from mutuality and enterprise. The new ‘pop-up’ museums of the 2020s will, in particular, be an unexpected and challenging addition, not least because they make the effort to stay open, just that little bit later. The networks and sharing that hold the sector together will become more pronounced in the future. There will be a regional ‘currency’ of museums that helps them share with each other collections, staff and expertise; there will be a skills bank that all can access to raise their collective game; and there will be a shared infrastructure that is physical, digital and human. The great transition ahead will challenge us all. Vision and leadership will be prerequisites. The people who will steer the sector into this future will have to be networked, resourceful and ready to embrace change. They will have recognised and risen to the need to be true civic leaders, with a mandate to provide the places and experiences which we will all access in some way. And that uplift in ‘taking part’ will be critical. Currently fewer than half of all adults visit a gallery or museum each year – in 2030, if we have succeeded in transforming our sector, there will be much higher levels of engagement. Today there are 290 museums and galleries across England’s North West. In 2030 there will be fewer than this and they will be stronger, more resilient and more productive than today, if collaboration and innovation is pursued, as a collective goal. A final view into the future, then, should spell out more clearly what some of those shared goals might be. What’s clear is that the sector will have a critical role in unlocking minds, educating and engaging the public. Within our time horizon of 2030 there will be a ‘double hit’ for example when you consider the region’s social capital (or skilled people, to you and I). The demand for low-skilled jobs will drop dramatically as our economy continues to shift up the value chain towards industries based around intellectual property and key sectors such as low carbon goods and services. At the same time we have a worrying skills ‘bubble’ in the pipeline, with half of our current workforce not making it past A-levels at present. Museums can and should be in the frontline of creating a new culture of learning that ensures we are not left behind in the skills race. The challenge today, with an eye on 2030, will be for museums to identify the topics and areas that are important, economically, which they can explore and bring to life for students young and old; here they should connect with local partners who are driving economic strategy and forecasting. Museums will also have a shared goal of keeping our minds ticking over. The fastest growing audiences in the next twenty years will be the over 60s, as our society grows significantly older and greyer. This is a critical mission, particularly where museums can overcome isolation, connect with social histories that will stimulate memories, and respond pro-actively to the notion of new skills and new employment for people in their ‘third age’. There is a third, almost didactic role for museums, working collectively, and that is to be part of efforts to create a genuinely sustainable future. As centres of experience rather than consumerism, museums immediately offer an alternative to the ‘consume at all costs’ culture that has successfully damaged or destroyed 60% of our planet’s ecosystems. Beyond this role, they can also access the ‘headspace’ within which we need a dramatic shift in thinking and values; technical ‘fixes’ for climate change for example are already reaching the limits of their application as we realise that it is behavioural change and our shared culture that will be pivotal in handing a habitable planet over to future generations. By 2050 we need to have reduced our carbon emissions by a phenomenal 80% or more, and this requires a complete change in the way we view the world. It’s a change that museums can help to deliver. Sustainability messages sold as drab calls to constrain consumption, use less and lower your expectations have been failing spectacularly for a generation or more; museums can bring delight, intrigue and play to this mission, in many ways they are perfectly placed for it. This final notion of creating delight is an apt place to end an exploration of 2030. Today many are focused on survival, both within the museum sector and beyond, but across a longer time frame there is an opportunity to create universal delight that make places more characterful, that makes minds more inquisitive and makes communities stronger. One recent study revealed that the use of social networks like Twitter possibly releases the brain hormone ‘oxytocin’, also known as the ‘cuddle’ chemical that makes people feel trust, security, less anxiety and possibly even turned on. It’s all about connecting with people, and interacting, in a delightful way. If museums are a social network of the future then they need to set their sights too on the cuddle chemical as their central indicator of success; or as they call it in Tameside, generating more ‘moments of magic’ through museums. This is the future. It is ours to create. NB. Thanks to NW Fed for a great project - and also to Renaissance North West, MLA and National Museums Liverpool for making it happen. Also am heavily indebted to the awesome work done by the Center for the Future of Museums in the USA and has some valuable input from Stephen Feber. New year, new plans to save the world... but first a look back, finally, at the big bash that took up a good deal of my time at the tail end of 2010 - the first stakeholder conference for ‘Manchester: A Certain Future’, which took place at the revitalised Museum of Science and Industry (MOSI) on 30 November 2010. Back to MOSI, though. Delegates from a host of different organisations and sectors took part in a hands on, highly interactive day of workshops, debates and networking sessions designed to help all of those attending to share their plans for the future, identify what was working (or not) in the fight against climate change and to make fresh connections with possible future partners. The shape of the day was deliberately experimental, from an art session where participants were given the opportunity to literally draw what a low carbon culture looked like, to ‘carbon dating’ where the focus on was on a series of quick fire meetings with new people to share ideas and thoughts for the future. There was also a masterclass on low carbon regeneration and a series of sessions where delegates shared the barriers they had overcome, or their plans for the future. As well as chairing the day, I had the chance to run two 60-person sessions with Joe Ravetz of the University of Manchester to focus peoples’ minds on that certain future, using the scenarios (good and bad) that have been created by the University’s Eco Cities research team. The two scenarios – an Upward Spiral and a Long Descent - were brought to life by fictional radio broadcasts from the future crafted by Phil Korbel of Radio Regen and then participants voted on how they thought Manchester stood in the face of such changes. The good news? Few participants thought that our city is on a collision course with certain disaster, by stating that they thought the future set out in a Long Descent was a sure thing. 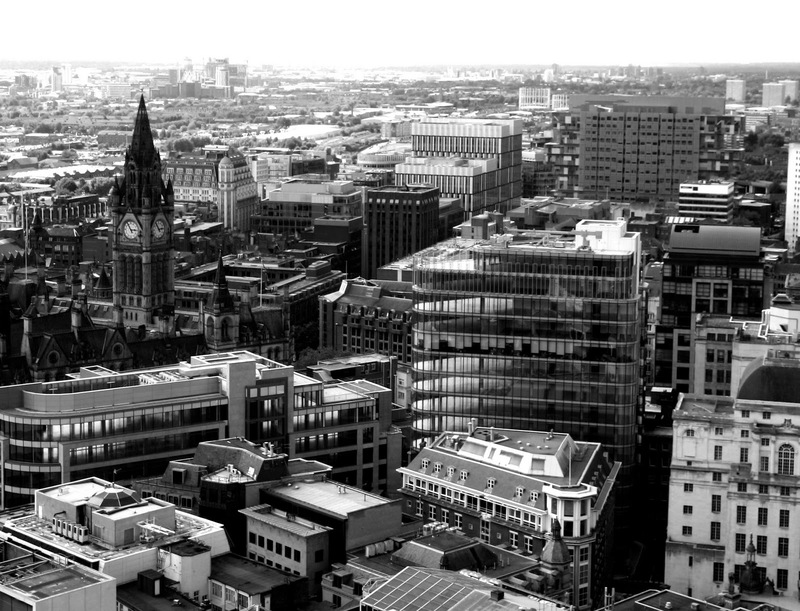 In fact in both sessions, half or more of those taking part stated that they thought Manchester was a headed in the right direction, to some degree. When we asked in what areas we were strong or weak in the face of climate change, those taking part felt that we had a good track record on technology and innovation an that we had strong political leadership driving us forward. Where were judged to be weaker, by those voting, was on a shared set of public values around climate change, and on working towards a more equal society. Shared values and developing a low carbon culture were the clear priorities that emerged from the day, including a final concluding vote from delegates that gave our stakeholder steering group a clear mandate to push for this as a focus for 2011. Attendees also told us how they thought we could improve the conference for 2011, including building in more advanced notice of the event, improving the diversity of the event (though a number of attendees remarked on how it wasn’t the ‘usual suspects) and to create a greater presence for the event in the conventional media, as well as the Twitter reports that were a feature of the day, thanks to Inside the M60. Full details are on the website we've built for them - http://www.getmetoasty.com - and as I type, my colleagues are racing around with our giant 'Mr Toast' character, preparing the radio ads and getting ready for two weekends of fun and frolics in the Trafford Centre and Arndale. Marvellous stuff. And my favourite part of the campaign so far? Hooking up with the awesome, LA-based creator of 'Mr Toast' who is our collaborator on this project.